We've helped Auth0, the cloud solution that makes identity easier, develop crucial features and engage the Python and NoseJS communities. Auth0 is an identity platform designed for developers that provides security services for authentication and authorization. The services connect with any application no matter the language or tech stack, simplifying identity authentication and security for modern applications. Auth0 first reached out to use back in 2011, and we began working with co-founder Matias Wolosky on the platform's first administrator. Later, in 2012, we built the first sign-in widget. Since then, we've maintained a close relationship with Auth0 and lend them a hand whenever they need additional development resources. Over the years, we've worked with Auth0 on a variety of projects on both the backend and the frontend. We're proud to have designed the first Auth0 sign-in widget, the core of Auth0's verification services. We coded the redesign of the Auth0 Support Center in React. The support page not only links to extensive documentation and code samples but also displays the current status of all Auth0 online services. Our team developed the platform's original user admin panel, a fundamental feature for Auth0 clients to manage their authentication settings. In order to boost the Auth0 system's integrity, we've added intensive automated testing covering a variety of scenarios with unit and integration tests. As an integral part of their service, Auth0 provides its users with documentation, client libraries, and sample code for all of the most common programming languages. Auth0 looked to us when they needed to write the documentation for Python and Node.js, and we jumped at the opportunity to contribute to a great platform and an Open Source project. We wrote both libraries from scratch, providing all documentation and use cases in order to demonstrate to other developers how to make the most of Auth0 in their applications coded in either Python or Node.js. We've also helped them create demos to show off some of Auth0's most important and relevant features to potential clients. 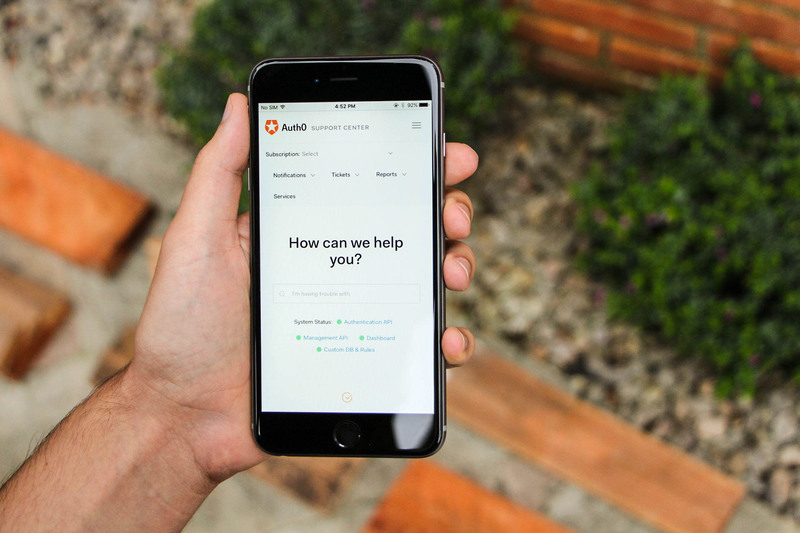 Auth0 continues to be an industry leader in authentication and authorization services, and we are proud to work with them to ensure that the service remains one of the best on the market.